↑U.S. Navy Bathyscaphe Trieste. 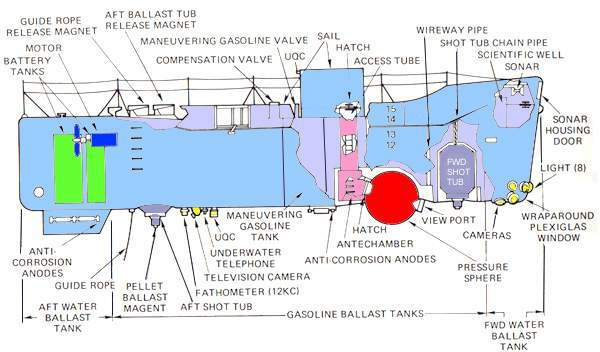 General arrangement drawing, showing the bathyscaphe's main features. Drawing was released in connection with Trieste's record dive to 35,800 feet in the Challenger Deep, off Guam, on 23 January 1960. U.S. Naval Historical Center Photograph. ↑U.S. Navy Bathyscaphe Trieste. 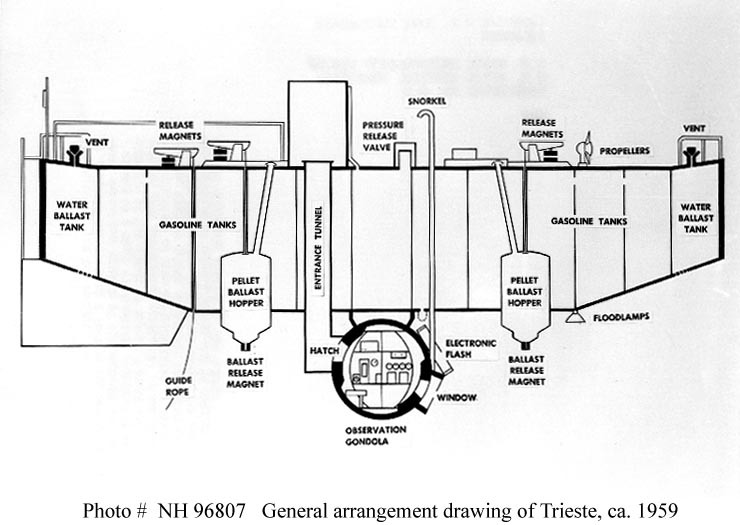 Outboard profile drawing of Trieste's configuration in about 1963, prepared for the Navy Museum, Washington, DC., during the early 1980s. 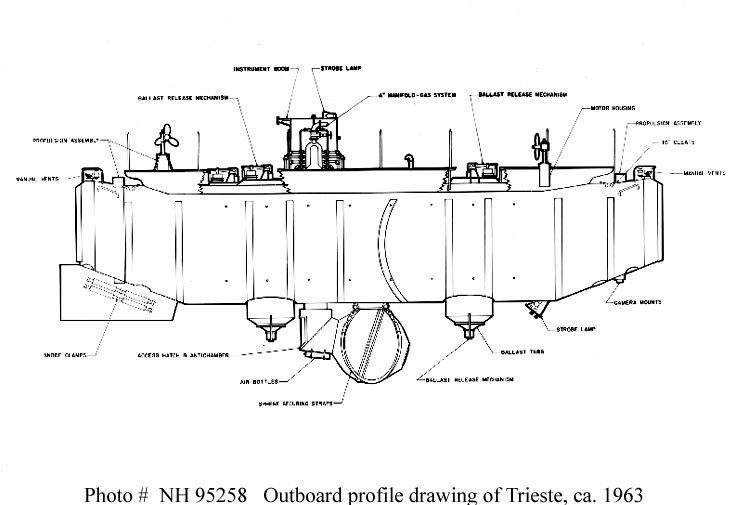 Trieste was placed on exhibit in the Navy Museum in 1980. U.S. Naval Historical Center Photograph. 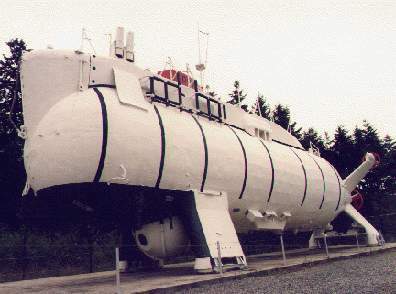 ↑Trieste II, on permanent display at the Naval Undersea Museum in Keyport, Washington. Image courtesy of NavSource. ↑Cut out of the Trieste II. Image courtesy of NavSource.